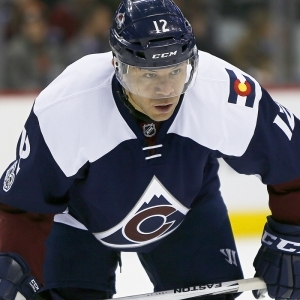 The Colorado Avalanche are way, way ahead of expectations. Sure, they are still sitting last in the Central Division. But with 47 points they sit only three points out of the final wild-card spot, and they have played three fewer games than Minnesota, which holds down that last spot. Far more impressively, they had only 48 points in their incredibly dismal season last year, so they are just one win away from an improvement, and they still have half a season to play. MacKinnon earning his money: Nathan Mackinnon was the first overall pick in the 2013 NHL Draft, but after a strong rookie year he has struggled to play up to that lofty honor. Well, this year he has shaken whatever was holding him back. He is tied for second in league scoring with 52 points in just 41 games, and that's particularly impressive because his best total in the last three years is just 53 points last year. So, like his team, he'll be into new territory within the next game or two. When a guy is scoring like MacKinnon is it lifts his whole team. And though he is rapidly heading into career-high territory - he had 63 points as a rookie - he is more than talented enough to sustain something close to this level of production. Trades made and not made: This was a team with a lot of young talent that was massively underachieving last year, and the situation was toxic in the dressing room. They had to make some moves, and several young players wanted out. They made a big move, trading Matt Duchene to Ottawa in a deal that added little immediate help but set them up very well going forward. And sometimes the good deals are the ones you don't make - Gabriel Landeskog wanted out, but no one would meet the team's price, so he is still on the team. And he is playing very well as MacKinnon's linemate - he has 32 points in 37 games. The team may still deal Landeskog at some point - he would return a massive haul - but now they don't have to, and they would be well served to keep him around. He and MacKinnon are too good together to mess with right now. Road issues: While the team is so dramatically improved from last year, they still have some work to do on the road. Their 15 home wins ranks behind only Vegas and Winnipeg in the conference, but their 7-9-2 road record leaves a lot to be desired. Only Arizona has fewer road wins in the West, and the Coyotes are just awful. Their road struggles are a sign that this team isn't ready for prime time just yet. Since we are making deeper dives into their record, another thing that stands out is their performance against the Eastern Conference. They are a stellar 14-8-1 against that group. Only the Kings have more road wins. Goaltending only okay: The duo of Semyon Varlamov and Jonathan Bernier hasn't been awful, but it hasn't been great, either. They are good enough to keep them on the path they are at, but they haven't yet proven to be good enough to steal games and elevate their team. Bernier is just a guy, but Varlamov has been special at times in his career and could conceivably capture that magic again. If the team wants to maintain any chance of a playoff spot - which is unlikely given how many teams are in the mix - they will need Varlamov to recapture some lost magic. Coaching: Given the stories of discontent and chaos coming out of the dressing room last year it would have been easy to assume that first-year Coach Jared Bednar had lost the team - or never had them in the first place. He had shown he could coach, though - he won the Calder Cup as AHL champion the year before joining the Avs. And the resurgence of both this team and the most important players on it shows that Bednar is doing great work this year. The team gets credit for sticking with Bednar after last year and respecting that he came into an impossible situation after Patrick Roy left on short notice. Now he is doing well and proving that the team is indeed in good hands. Betting performance: When a team that few people really care about plays far ahead of expectations you would expect some profitable betting opportunities to arise. And that has indeed been the case. The Avs are third in the league in moneyline performance overall and have managed to break even on the road despite the underwhelming record. $60 worth of member's NHL picks absolutely free - no obligation, no sales people - you don't even have to enter credit card information. You can use this $60 credit any way you please on any of our top hockey handicappers. Get $60 worth premium member picks free ! Also, for a limited time get three hockey handicappers for the price of one! Click here for our 3-for-1 NHL picks offer .